When making an elaborate meal, I love to be able to have a little cheat to save me some time, as you will see. Come on, you can’t make EVERYTHING from scratch. 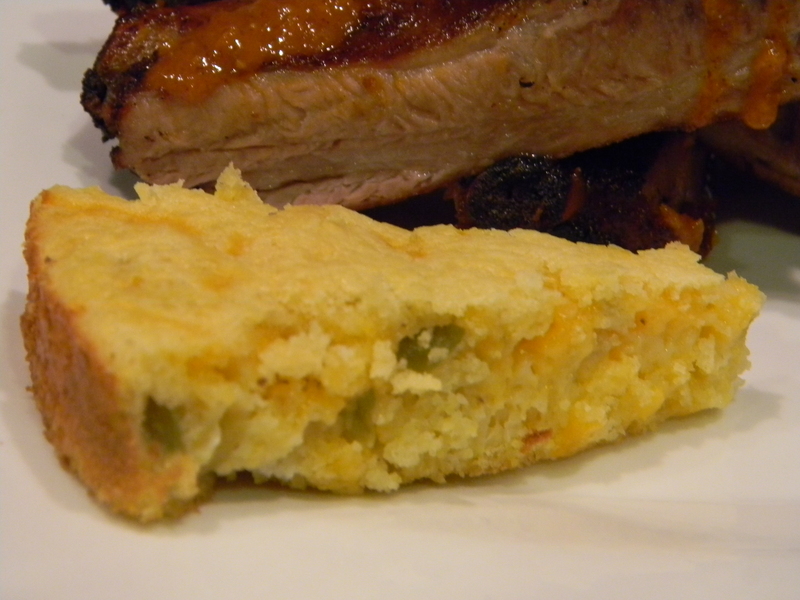 This cornbread is gooey and has a tangy kick to it that goes well with ribs or fried fish. 1.) Mix cornbread according to package instructions. Add in chiles and cheese and stir to combine. Bake according to instructions.